When it comes to unwanted guests in your home, bugs, rodents, and other critters might come to mind. 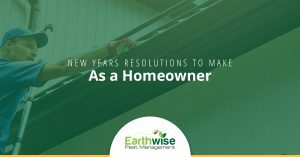 Earthwise Pest Management is happy to offer pest control services that Sacramento residents can benefit from. 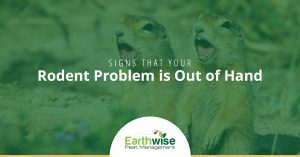 One of the things we love to do here at Earthwise is to educate our customers on the types of pest control services we offer. Our Sacramento pest control services stem from a method of pest control called Integrated Pest Management (IPM). This type of pest control involves performing a detailed inspection where we identify areas of your home or commercial building that might be contributing to the pest problem, such as improper storage of food or small cracks in the walls that allow bugs or rodents to enter. Then, we’ll offer solutions to fix these vulnerable areas and implement a plan for removing the current infestation. This method creates a long-term solution for pest problems that simply spraying pesticides around the home can not. Whether you have termites, bed bugs, mice, spiders, moths, or other pests, we have a solution that will work. Below, you will find a collection of blogs on the topic of our pest control services. 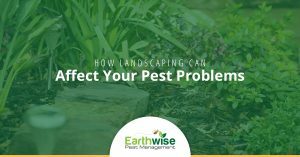 These blogs will give you more insight into what types of pests we work with, how we implement our pest management methods, and more. If you do notice any signs of a pest problem, make sure to give your Sacramento pest control company a call!